Ghana At The Mercy Of Eurobonds… What Do We Celebrate? We agree government spokespersons are paid to talk, but at least they can avoid the political spin to the issues. It’s amusing that they mostly talk to themselves and that is pathetic. What is the celebration about a 3billion dollar credit facility? What are we doing with it? How does it affect the ordinary Ghanaian? Indeed, if the economy is weak, the exchange rate would expose you. Exchange rate risk has crept into our future obligation - to service a debt - at needlessly high above average price (interest rate). Shameful jamboree by a debtor over creditors clamouring over a good deal for them. Did Ghana consider the question of ‘value for Money’? For now, we can do a comparative analysis with the recent case of Côte d’Ivoire, looking at the terms, while holding “all things equal”. There is nothing markedly unprecedented about the over-subscription. Even during challenging election season, government under John Mahama’s September 2016 call yielded a similar result which was taunted and compared with yields for Rwanda and other countries. Now here are a few things to note about Bonds issued by neighbouring West African countries though just a year old. Senegal on 6th March 2018 issued a $2.2billion with (One Billion euros -$1.2billion at coupon rate of 4.75% for 9 years; then One Billion Dollars - 6.75% for 29years and it was oversubscribed $10 billion. Ivory Coast on 16th March 2018 Issued $2.1 billion with coupon rates 12years - 5.25% and 20 years- 6.25%, oversubscribed: $4.8billion. 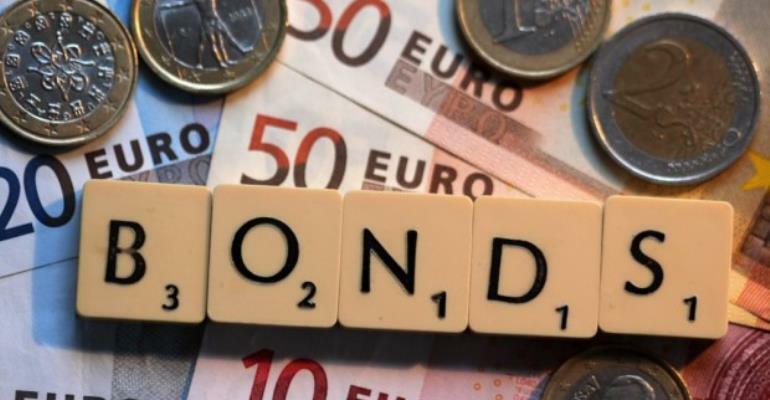 Ghana this year 20th March 2019 Issued $3billion the seven-year bond attracted an interest rate of 7.875 per cent, with the 12-year bond attracting 8.125 per cent coupon (interest rates), while the 31-year bond was priced at 8.95 per cent. This is the stark reality we are facing. Ghana a more endowed country issues sovereign bonds and attract coupon rates well above what less endowed countries like Cote d'Ivoire and Senegal - countries with similar economic profiles or worse than ours. Ghanaians should be asking ourselves; we have similar economic profile as our neighbours, we are better endowed than they are, yet when we all go to issue sovereign bonds, they are able to do it for 2 to 2.5 percentage rate less than we are able to. This is so, even though we state that our bond issue is oversubscribed. Oversubscription, as it should be understood means more chasing less, will give the owner leverage to negotiate more favourable terms. But we did not end up with more favourable terms and on top, we accept to buy at a higher rate. Doesn't this reveal more about our much vaunted "economic fundamentals" than it does about anything else? Now without delving further into the coupon rate, how is it that our neighbours can negotiate longer maturity terms than we are? Some experts posit that longer maturity dates in principle mean that borrowers end up paying more in interest; but isn't it the case that because you have a longer maturity date, you also have flexibility to scout for better resale terms when you do decide to repackage your bonds? Ghanaians should neither be swollen-headed nor overly excited about the 3billion bond issue. The foreign billionaire is always ready to part with money provided he makes some more money. Government’s social media brigade wants Ghanaians to celebrate because investors saw the full picture of the Ghanaian economy and were not worried but rushed for the bonds. Really? How bizarre? Compatriots, mind you, it is debt we are incurring; not free money. It has interests which government would not have the courage to disclose. In our case, the Eurobond becomes like a credit card, which without self-discipline and vision we are going to be messed up big time. We should also be looking at next-generation investment like it is happening in fellow African country Rwanda where a seven-year-old startup announced that it had raised $1.25 billion, bringing its total investment to date to $3.4 billion. SoftBank Group Corp., Grupo Salinas, Qualcomm Technologies Inc. and the Government of Rwanda led the latest round, while Virgin Group, Coca-Cola and Airbus are existing investors. Though there are scepticisms about the business prospects of space satellites, there is a fact that the future is technology. Is Ghana ready for that? What is the plan for this 3billion? To buy cocoa? Government should be looking at incentives for businesses, especially in the informal sector. The Ghanaian informal sector runs the economy. These are the people with no strong financial background, but given the right training especially in basic financial literacy they can expand their operational base, improve their lives and that of their dependents.